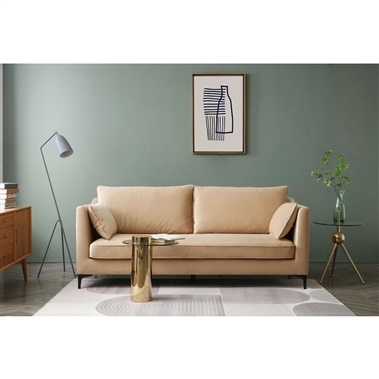 If you're wondering whether comfortably cushiony seating could possibly convey a stylishly smooth coolness, take a closer look at the Jason Sofa. 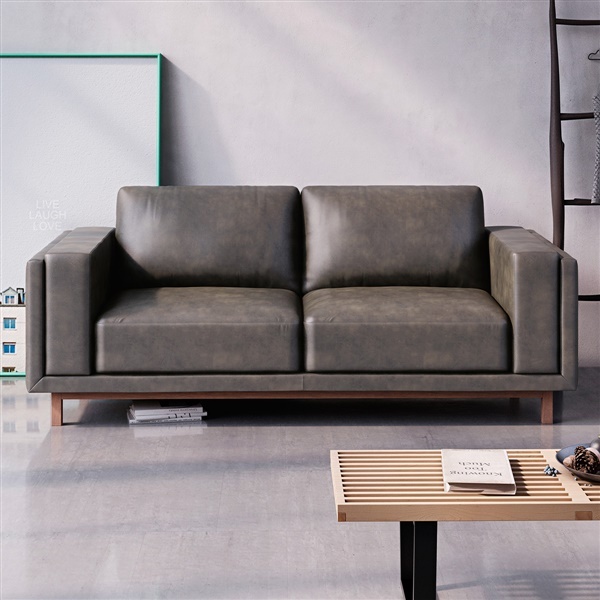 Featuring a clean-lined contemporary silhouette with the eye-catching element of a vintage vibe, the Jason Sofa is available in your choice of lush faux leather expertly upholstered over a layer of inviting memory foam. In the home or at the office, the Jason Sofa is sleek sophistication with a dash of rugged edge. Upholstered in soft and luxurious faux leather. Your choice of vintage-inspired colors. Clean-lined contemporary silhouette for many modern spaces. Cushions feature an added layer of memory foam for extra comfort. Loving that washed vintage upholstery - really plump back cushions too! Love everything Inmod. Got this in tan and it looks awesome! Went with the black color and super happy I did. Awesome design. Awesome color. Very happy with everything. Definitely recommend. I ordered this with Stacy over the phone and aside from the great customer service she provided, the sofa arrived in perfect condition! I was anxiously awaiting its arrival and once it was in the spot I wanted I immediately fell more in love. Exceptional experience all around. Does this sofa seat 2 or 3 people? Although the Jason Sofa has 2 seat cushions, it is wide enough to be suitable as a standard sofa that can seat 3 people.